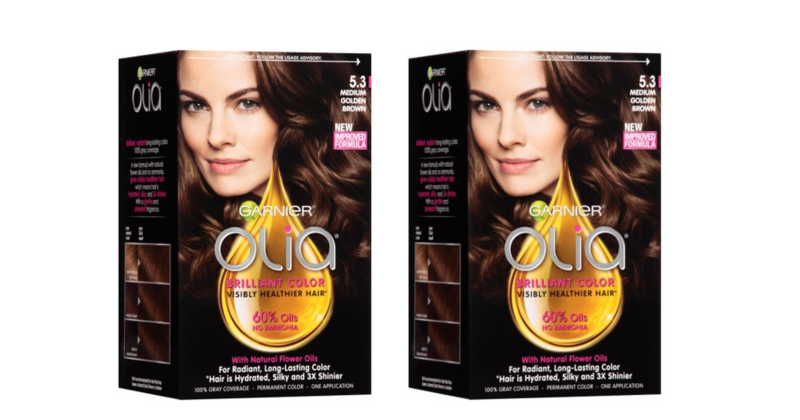 Home > Printable Coupons > Garnier Olia Hair Color, $2.49 ea. Garnier Olia Hair Color, $2.49 ea. If you haven’t had the chance to print out the recent Garnier coupon, here is a fun deal at Target. Use the coupon at Target and combine it with a gift card offer to get Garnier hair color for just $2.49 each!